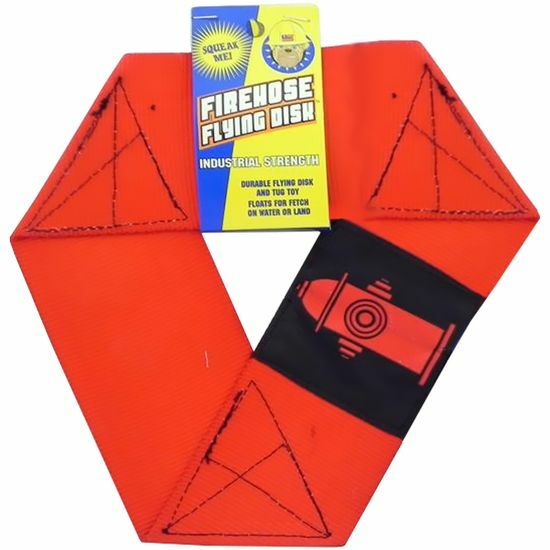 The Flying Disk, industrial strength, durable toy is made from the same material that firemen use. It has an inner squeaker to entice your playful pooch to chase, jump and fetch. It floats in the water for lake or swimming pool use. Get ready for the best game of fetch your dog has ever played!